From left, Denise Lee and Erica Stanford at the Friendly Forum meeting in Cambridge on Friday, March 8. It was quite fitting to have two female MPs visit Cambridge for International Women’s Day. Erica Stanford and Denise Lee, MPs for East Coast Bays and Maungakiekie respectively, were invited to chat with Cambridge residents on Friday last week as part of Louise Upston’s Friendly Forum. 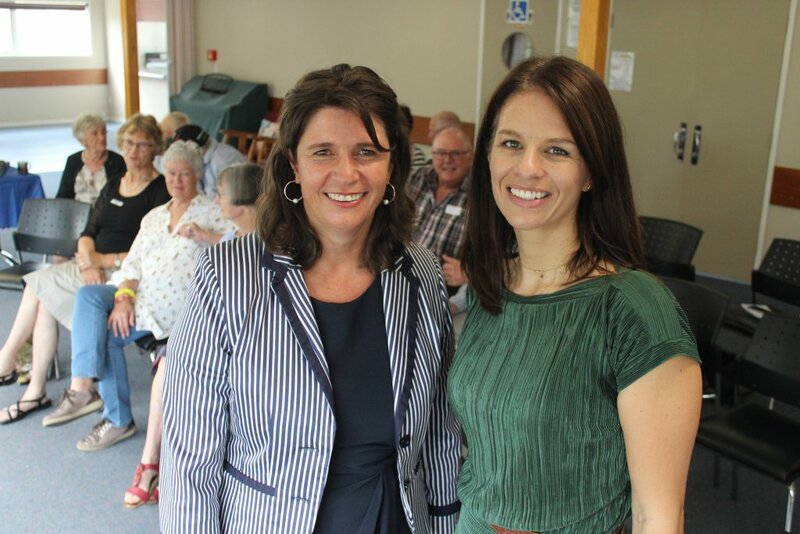 The Taupo electorate MP was unable to make it due to illness, but the visiting pair were made welcome by the crowd of about 20 people who turned out to the hour-and-a-half meeting on Friday, March 8 – International Women’s Day. The pair said following the February addition of Agnes Loheni to parliament New Zealand now had more women in Parliament than ever. Agnes Loheni is National’s first female MP of Pacific Island descent. She replaced list MP Chris Finlayson who retired in December. Erica Stanford, National’s associate spokesperson for the environment previously worked for former Foreign Affairs minister Murray McCully and professed a “greenie” stance as a first time MP. “It has always bothered me greatly that somehow environmentalism is seen as a topic that only the left can own, you have to be left wing in order to be someone who believes in environmental protection,” said Stanford. “I feel as if we have been losing the argument on the environment for such a long time because we don’t have the ‘green’ title on our party name like the Greens do. Stanford highlighted some of her party’s environmental achievements. The MPs said part of getting out into the community was to get feedback as they form their policies for 2020. “We (National) are still on just over 41 percent, which is only one and a half percent off what we got in the elections … Labour at the same time in the last cycle were in the 20s,” she said. When question time came, Florence Shearman stood and asked what was being done to help renters on superannuation. Both MPs blamed Labour’s capital gains tax as a factor in driving up rent prices, and for landlords exiting the market and reducing the number of houses available. Stanford said National’s intention to adjust tax thresholds could have a knock-on effect on superannuation.